I'm on a development routine now, wake up around 10, breakfast, manage web stuff (blog, emails, marketplaces, social media), eat lunch, work on DragCore and fix any web stuff problems, eat dinner (sometimes reading Gamasutra), continue working on DragCore 12AM, workout (20 mins), shower, play Zelda, sleep. That's everyday and it keeps me busy. at this rate DragCore will get finished on time. My parents are very respectful of my work now so I'm hardly ever interrupted. They even handle the chores I used to do and tell me to get back to work. 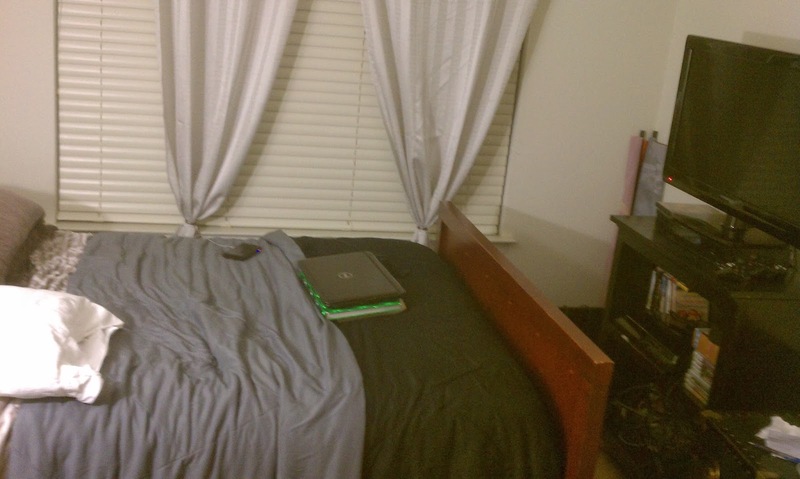 What you see in the image above is where I spend my day. 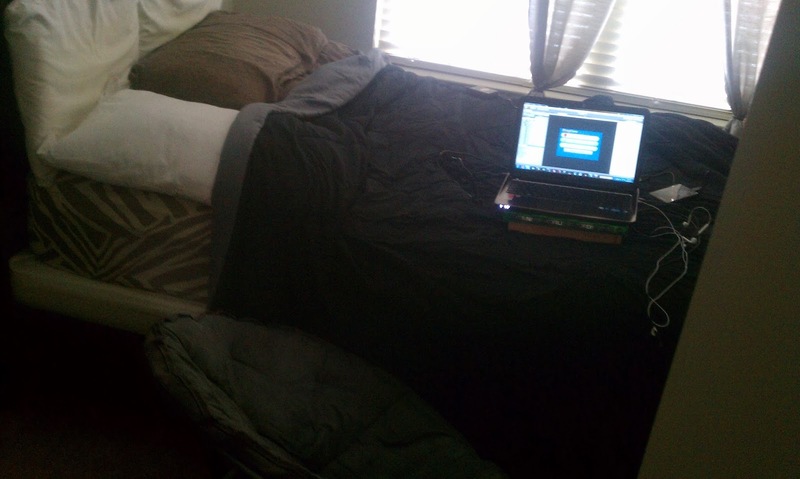 I miss having a desk at school, but my bed will do for now. Laying down all day gets cramped so I got a folding chair so I could use my bed as a desk. I hunch a bit to reach anything, but it works. I put my laptop on interchanging books so nothing sets on fire and I put my backup harddrive next to it. It's a comfy setup but the real workstation is my laptop itself. Now, it's back to work for me. School starts January 13th.